A boosting mist that helps your skin to absorb all the active ingredients from the facial mask. Aqulabo's patented ingredient AMINO ACID COMPLEX, made of 17 amino acid complex, act on keratin to keep your skin texture smooth for more effective absorption of the nutrients. Contains Omija(schizandra) to balance the pH level of your skin, while the liposomed ceramide strenghtens the skin barrier to retain and increase moisutre in skin. The GOMISIN N, one of the constituents of magnolia berry aids the nutrients to permeate deep inside the skin. 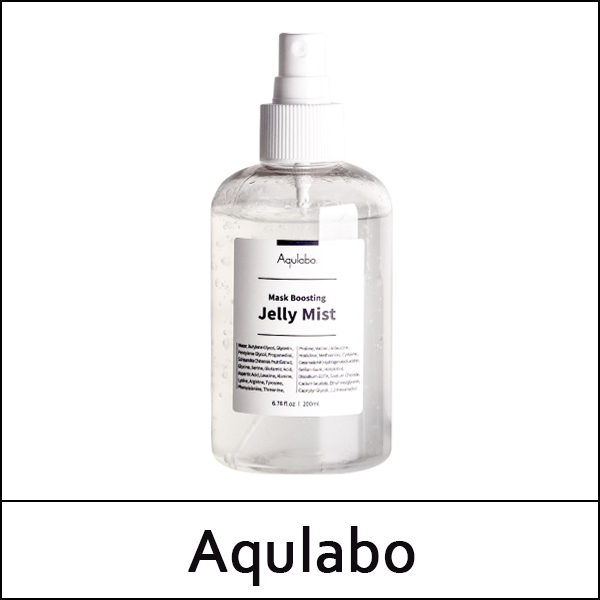 The highly concentrated brightening essence in jelly type, magically turns into a mist once sprayed. Most formula changing mists can be quite queasy when it comes to the jet force, but Mask Boosting Jelly Mist actually sprays finely and evenly on skin, thanks to Aqulabo's effort of finding the optimal nozzle for this specially designed mist. 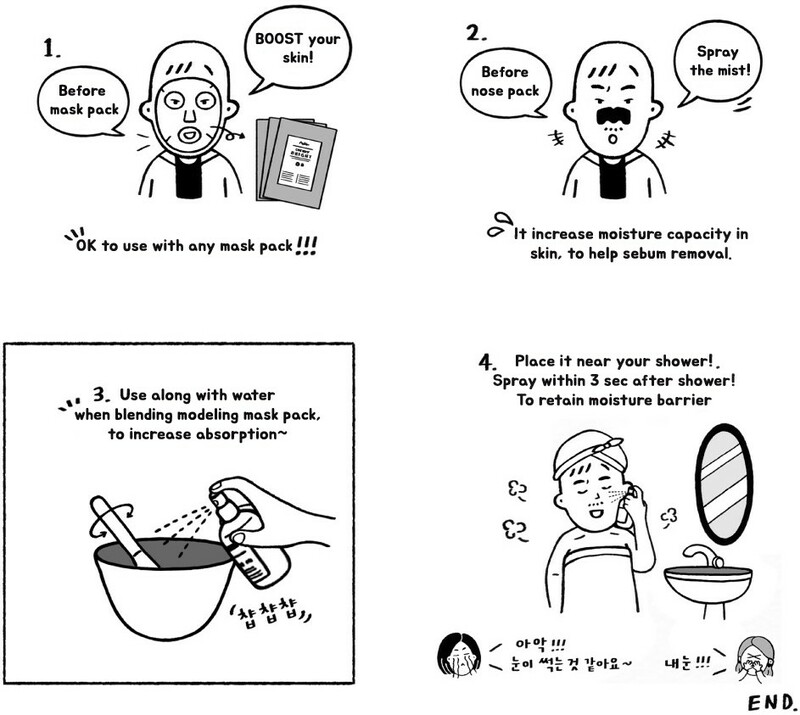 Spray on entire face from 20-30cm distance with eyes closed. Let it absorb into the skin on its own, or gently pat to help absorption. 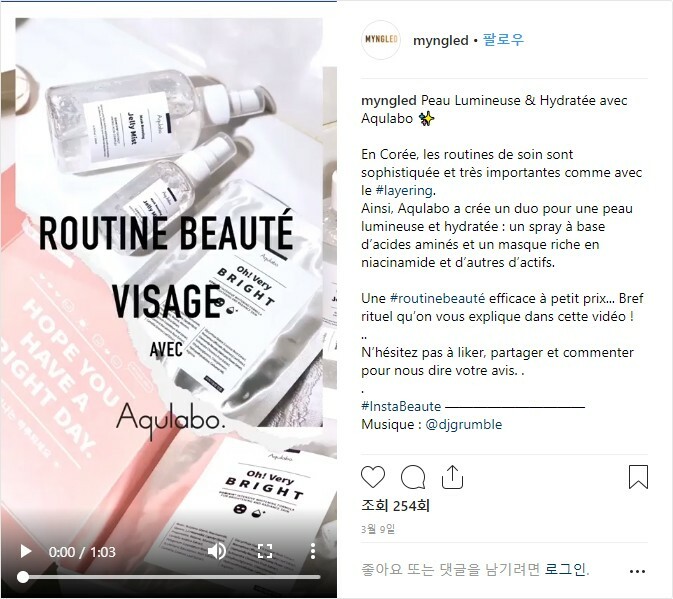 Aqulabo was also featured in French magazine called MYNGLED!